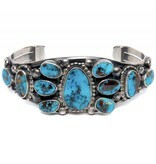 Home / 11 Stone Morenci Turquoise Bracelet by Verdi Jake (Navajo). 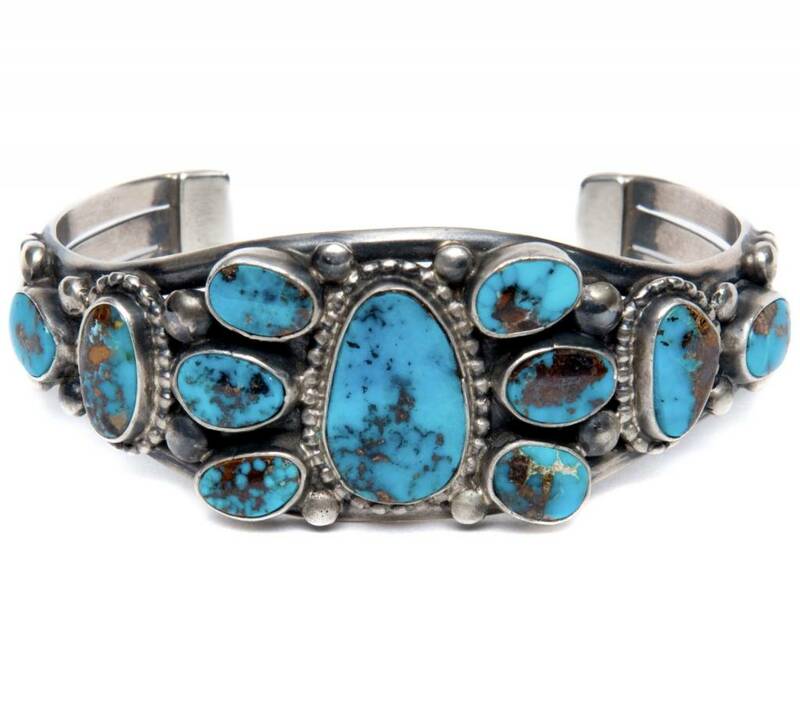 11 Stone Morenci Turquoise Bracelet by Verdi Jake (Navajo). 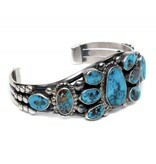 Bracelet size- 5.25. Stone size varies- 8x6mm to 17x11mm. Bandwidth- 1" by 3/8". 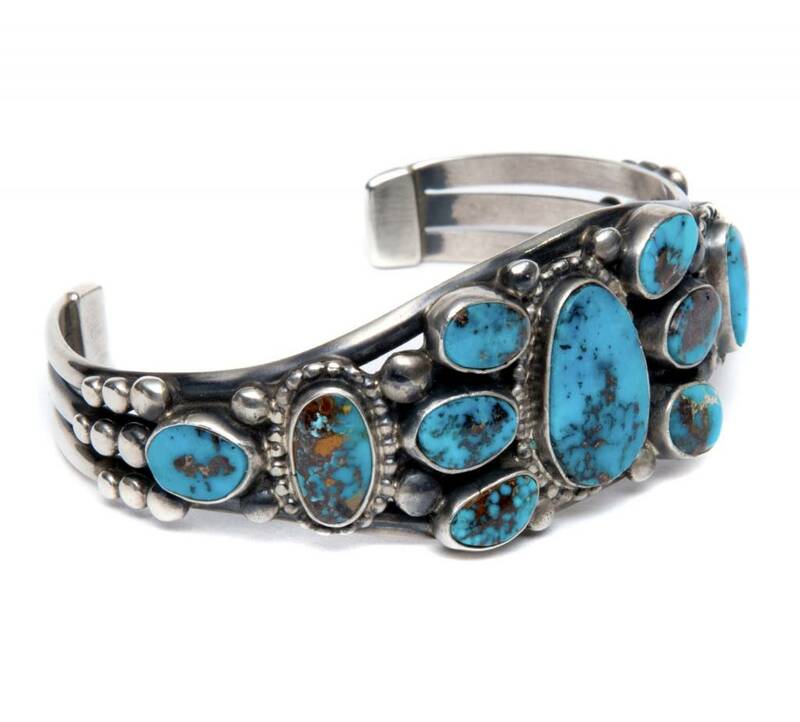 The color and patterns evident in each of these eleven stones of Morenci turquoise are reason enough to consider this magnificent bracelet. For this is quality at its absolute finest. The Morenci mine is in southeastern Arizona and is now closed and buried under tons of rock.